Nearly six years after it was created, Madonna’s Raising Malawi charity is set to break ground on the construction of schools in the impoverished country, but they will be run by the local community, not the superstar’s organization. According to organizers, work on the first school will start on March 30 in the Kasungu area, about 80 miles from the capital of Lilongwe, and all of the schools should be built by June 2013. Raising Malawi is providing $300,000 to the non-governmental organization buildOn to develop the schools. They’ll serve about 1,000 boys and girls in the southern African nation. “This remains a very big priority in my life and I am excited that with the help of buildOn we can maintain our ongoing commitment to move forward efficiently,” Madonna said in a statement provided to The Associated Press. Raising Malawi had originally intended to build all-girls schools that the organization would run. But it faced several obstacles in its goal, including complaints from some local farmers that they had been moved off land that Raising Malawi intended to use for its mission. Raising Malawi also had difficulty getting title to the land and there were concerns about the high costs of construction. The new plan calls for “simple structures” that will be more practical and better serve Raising Malawi’s original mission, said Trevor Neilson, who is helping to direct the project as partner of the Global Philanthropy Group. The approach will allow the program to serve twice as many children as before, Madonna said. “I have learned a great deal over the last few years and feel so much more confident that we can reach out goals to educate children in Malawi, especially young girls, in a much more efficient and practical way,” she said. 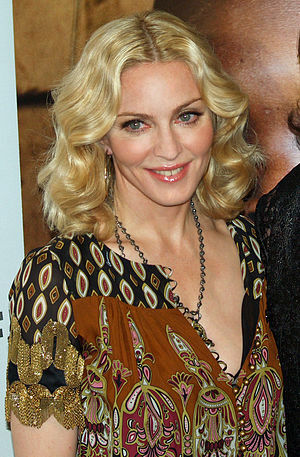 Madonna has adopted two children from Malawi. BuildOn has already built more than 50 schools in Malawi and 427 schools worldwide. BuildOn has been working in Malawi for almost 20 years, said spokeswoman Carrie Pena. The organization works closely with the community, and locals even volunteer the labor to build the schools, according to Pena. “It’s absolutely a community-owned school,” she said. Neilson praised Madonna for sticking with her plan to build schools for Malawi’s children despite several setbacks for the star, who is the director of the new movie “W.E.,” out next week, and is this year’s Super Bowl performer. Madonna brought in Global Philanthropy to work with Raising Malawi more than a year ago and removed the involvement of the Kabbalah Centre. She has practiced Kabbalah, a form of Jewish mysticism.